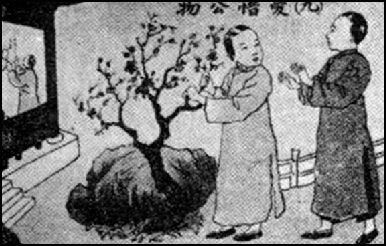 Confucianism offers a green world view in which the basic principals of harmony and balance are not limited to human society but are thought to extend to the universe as a whole. Asian philosophies as a whole stress the notion of harmony between nature and mankind but these philosophies are not always reflected in the Chinese record on environmentalism and pollution and their attitude about littering and eating wild animals. Economic growth has occurred at great cost to the environment, especially because China relies so much on energy-driven heavy industry to generate growth. China often seems that it is willing to put up with pollution to hold off joblessness. In the end it may be economic and political concerns that bring about the biggest changes. By some estimates pollution already slows economic growth by 3 percent a year. Environmental awareness is on the rise. Environmental laws are being taken more seriously. China, wrote historian Francis Fukayama. “may be the first country where demand for accountable government is driven primarily by concern over a poisoned environment.” The amount of money spent on pollution clean-up increased fivefold between 1985 and 1996. In 1998, spending on environmental protection exceeded one percent of gross nation product for the first time. By 2006 Beijing was spending $30 billion on the environment and cleaning up pollution. China Green is new website sponsored by the Asia Society: http://www.asiasociety.org/chinagreen/ It is a multimedia enterprise that documents China’s environmental issues and aims to be a web forum where people with an interest in China and its environmental challenges can find interesting visual stories and share critical information about the most populous nation in the world whose participation in the solution to global environmental problems, such as climate change. Since the Deng reforms in the late 1970s, Chinese have been oriented towards development and making money. Although environmental concerns are given a higher priority than they were they are still secondary to economic growth. Environmental laws were established in 1979 and have been largely ignored. Chinese president Jiang Zemin put his support behind certain environmental causes. In a speech in March 2007 Chinese Premier Wen Jibao said that improving environmental protection a top priority. Thousands of factories that haven’t meet pollution standards have been shut down, putting millions of people out of work. Industries that have been allowed to stayed open say their costs have increased and their competitiveness has decreased as they have made upgrades to meet environmental standards. Guangdong Province, one of China’s richest and post productive economic areas, has enthusiastically embraced anti-pollution measures. It is also where job lay offs and factories closings have been occurring at a high rate. As part of its strategy to develop a “low-carbon economy” an effort is being made to move manufacturing to the countryside where jobs are still scarce and attract clean industries and services to the cities. Foreign company with clean energy technology are welcomed to use the area as a testing ground, with the government providing some of the services they need. The Chinese government is appropriating more money towards job-creating infrastructure projects rather technology-based environmental improvements. One of the main goals of economists and planners in China is to move the Chinese economy away from its dependence in environmentally-unfriendly manufacturing industries such as paper, chemicals and textiles and shift to less environmentally-disruptive economic sectors such as computing, biotechnology and science. China is at a disadvantage fighting pollution compared to developed countries in that those countries were already rich when they started fighting pollution, whereas China is still developing. “It's a dark picture. Altering it in any real way will require change beyond China---most important, some kind of international agreement that transforms the economics of carbon. At the moment China is taking green strides that make sense for its economy.” "Why would they want to waste energy?" Deborah Seligsohn of the World Resources Institute asked, adding that "if the U.S. changed the game in a fundamental way---if it really committed to dramatic reductions---then China would look beyond its domestic interests and perhaps go much further." Perhaps it would embrace more expensive and speedier change. In the meantime China's growth will blast onward, a roaring fire that throws off green sparks but burns with ominous heat. "To change people's minds is a very big task," Huang Ming said as we sat in the Sun-Moon Mansion. "We need time, we need to be patient. But the situation will not give us time." A floor below, he's built a museum for busts and paintings of his favorite world figures: Voltaire, Brutus, Molière, Michelangelo, Gandhi, Pericles, Sartre. If he---or anyone else---can somehow help green beat black in this epic Chinese race, he'll deserve a hallowed place near the front of that pantheon. Environmental journalist Bill McKibben is a scholar-in-residence at Middlebury College. Based in Shanghai, photographer Greg Girard has been documenting China since 1983. Slow growth caused by the economic crisis in 2008 and 2009 has had some positive environmental benefits: it reduced pollution and greenhouse emissions, primarily as a result of the drop in industrial production and construction, which in turn reduced the need for energy and materials that need electricity made by coal to produce. Beijing saw some of its cleanest air in recent years during and after the Olympics when factories were idled and less vehicles were on the road. Around the same time Guangdong Province saw a significant drop in the number of badly polluted days, according to the Guangdong Provincial government, after 62,4000 businesses closed in 2008. Factories that were shut down or supposed to be shut down for environmental reasons were reopened or allowed to remain open. In February 2008 the Fuan textile factory, a multimillion dollar operation in Guangdong, was shut down for dumping waste from dyes into a river and turning the water red. It later quietly reopened in a new location. A large steel factory in the industrial city of Wuhan what was supposed to close in 2007 because of air pollution concerns remained opened and when last checked it was still belching out as much pollution as ever.